Bidikmisi is an education fee assistance from the government for graduates Senior High School (SMA) or equivalent has good academic potential but has economic limitations. Bidikmisi aims to improve access and opportunity to study in college high; improve student achievement; guarantee the continuity of student studies in a timely manner; and giving birth to graduates independent, productive and possessing social care so that it is capable play a role in efforts to terminate the eye poverty and empowerment chain society. 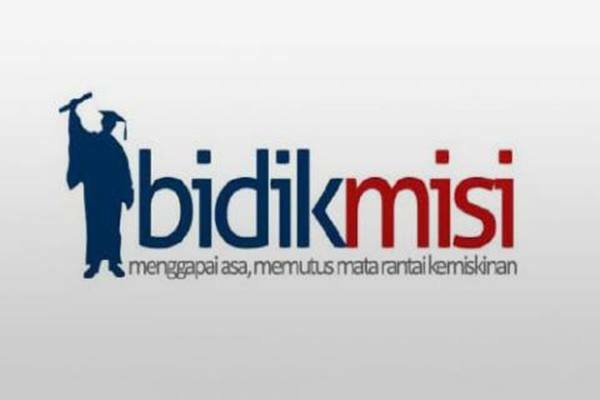 Bidikmisi which is managed by the Ministry of Technology Research and Higher Education (Kemenristekdikti), through Directorate General of Learning and Student Affairs (DG Belmawa), for 2019 it has been upgraded the quota is up to 50% higher than the year previous. This is meant for the Bidikmisi Program can provide wider assistance services to students who need it. Exemption from admission selection fee SBMPTN and other selections determined by each committee and college. Reimbursement of the first arrival fee for Bidikmisi registrants are set as Bidikmisi recipients in accordance with the provisions legislation. Exemption from tuition fees paid to College. The living cost subsidy is Rp. 700,000.00 (seven hundred thousand rupiah) per month. Subsidies for living costs are at least equal to Rp. 700,000.00 (seven hundred thousand rupiah) per month. has potential Academic is good but has limitations economy that is supported by valid documentary evidence and passed the new student admission selection in college. Economic limitations are evidenced by ownership of Indonesia Smart Card (KIP) or parent / guardian combined gross income in the amount of Rp.4,000,000.00 (four million rupiahs) or Parents / guardians' combined gross income is divided the maximum number of family members is IDR 750,000 (seven hundred and fifty thousand rupiah). Bidikmisi recipient candidates must be registered with Bidikmisi system by entering NPSN and Valid NISN. KIP recipients can directly register independently on the LTMPT or Bidikmisi pages. The school provides a registration number and access code to students who have been recommended. Students register through the Bidikmisi and complete all stages in the registration system. For prospective Bidikmisi recipient students who have already declared accepted at University, will be conducted further verification and determination of student eligibility recipient of Bidikmisi by the college with consider supporting documents. KIP recipients can directly register independently on the Bidikmisi page get KAP and PIN (directly to point 5). Not KIP recipients register for school to be recommended. Students register through the Bidikmisi and complete all stages in the registration system until Student get KAP and PIN. The KAP and PIN obtained from the Bidikmisi system are used in college admission selection. For prospective recipients of Bidikmisi students who have been declared accepted at University, further verification and determination of student eligibility will be further verified. recipient of Bidikmisi by the college with consider supporting documents.